The R2 candidates started an early Sunday morning by learning a new dance routine by Judy Trammell, DCC choreographer. The candidates were allotted a little more than two hours to rehearse the new routine, and at noon the judging began. 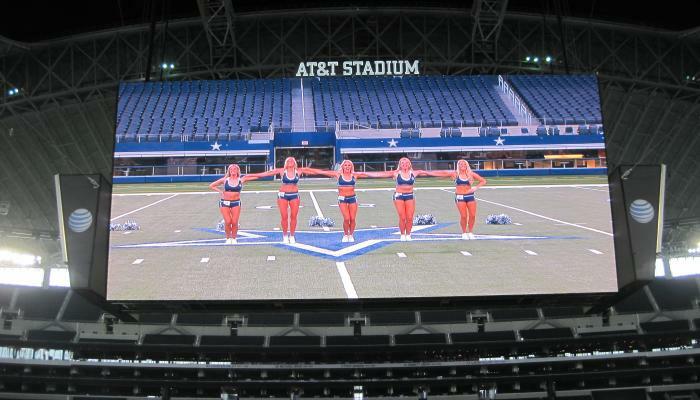 Two former DCC members, Mia and Emma, demonstrated the routine and helped instruct candidates. These amazing dancers are also beautiful women, and I’m guessing the hopefuls asked themselves, ‘Am I at a level where I can compete with girls like these?’ And rightfully so! Successful DCC contenders dig deep, exude confidence, and work hard to be deserving of the honor. Just like R1, candidates are called to the dance floor and perform in groups of 5. The dance routine, or jazz combo, is done twice, followed about 15-to-20 seconds later by the kick line. Judges don’t expect everyone to perfectly perform something they learned only a few hours beforehand, but they need to get fairly close. We’ll give check marks notes (such as ‘completely lost’) on our judge’s sheets. The key for the candidates is, even if you mess up a little, do not stop! Try to shake off mistakes and pick the routine back up. In R2, I was proud for one candidate who seemed overcome by nerves or illness in the first group of 5. Although, she left the dance floor before the song ended, she returned in the final group to show us her skills. Kudos to her for having the guts to return! I should mention that the criteria changes from R1 to R2. The first three categories are the same: Appearance (is she pretty); Figure (how will she look in a DCC uniform); and Showmanship (is she fun to watch, does she grab your attention?). The next three are new: Combination (ability to learn/execute the jazz combo routine), Kicks and Splits. Finally, there’s the critically important column: “Yes/Maybe/No” where we write in the magic words: YES (I think she is DCC worthy); MAYBE (I cannot decide); or NO (not this time around, but hopefully she’ll try again next year). If a candidate gets enough Yeses and Maybes, she’ll advance to R3 Finals. Regarding the Kicks and Splits column, that’s easy, right? Either someone can high kick or they can’t? Same thing with the splits, one might say. Well, I used to think so, but I have discovered a big difference in ability. For instance, candidates who are former Kilgore Rangerettes and Tyler Junior College Apache Belles can kick through the roof. I’ve even seen girls who can touch their noses with their legs when they kick! After the final group had performed, the judges adjourned to the DCC locker room where we voted/debated for around 3+ hours (as the “Dallas Cowboys Cheerleaders: Making the Team” cameras were rolling). The DCC director, Kelli, called the name of each candidate, and we raised our hands for our Yes, Maybe and No votes. Most of the time, the answer is clear. But sometimes a candidate will have split votes. When that happens, we want each candidate to have full consideration, so we take plenty of time to discuss and deliberate. In closing, it may surprise you to learn that we had as many 26 year olds (at least 10) as we had 19 year olds. And we had more 22 year olds than any other age (at least 19, unofficially by my count). There was also plenty of homegrown talent in R2: students from University of Texas at Arlington, University of North Texas, Texas State University and Texas Christian University were all in the semi-finals. But there are plenty of surprises still to come! The 82 candidates that survived R2 joined the returning DCC veterans at AT&T Stadium on Saturday, May 9th for the Final Round, and let me say that it was equally full of elations and upsets! It was awesome, and I can wait to share the final installment of this series, a recap of R3, to post this Friday, May 15.